On stage 4 of the 2009 Tour de France, the Astana team led by Alberto Contador and Lance Armstrong blitzed the 39km Team Time Trial at an average speed of 50.34kmph. The technical course with narrow and often winding roads tested not only the raw power of each team but also their ability to stay cohesive and upright! On the day Astana conquered the much fancied Garmin-Slipstream team by 18 seconds and the team of the then Yellow Jersey wearer, Fabian Cancellara, by 40 seconds. As the teams cooled themselves off it transpired that the race time keepers were now themselves breaking out into a sweat. Commentators and fans all over the world rapidly came to the same conclusion; Cancellara and Armstrong had exactly the same time on GC (10h38’07”). They would both be wearing Yellow at the start of Stage 5! However the Tour de France has never liked dead heats and this time sophisticated timing technology was able to identify the new race leader. Cancellara retained his Yellow Jersey (which he claimed in the opening Stage 1 time trial in Monaco) by just 22 hundredths of a second. For Armstrong this hair’s breadth difference turned out to be the closest that he would get to Yellow in his great ‘come-back Tour’ of 2009. The situation made us aware of an aspect of the Tour that most fans rarely consider, timing. Cycle racing is all about time, the fastest wins, plain and simple. A bunch sprint, a lone break, a time trial; at the end of the day it depends on who stops the clock first. This apparently simple concept has been in a state of evolution ever since the very first cycle races back in the 19th Century. When Cancellara was awarded the Yellow Jersey after the Team Time Trial he said, “Time was born in Switzerland, so that was on my side.” The great Swiss time trial specialist may be right and even back in the 19th Century extremely accurate time pieces were produced. And Switzerland has always been associated with the fine art of watch making. 1903 to 1912: The Tour was run on a points system. Time was not recorded. 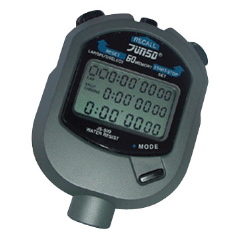 1913 to mid-1990’s: Mechanical and then (from 1970’s) electronic timing. 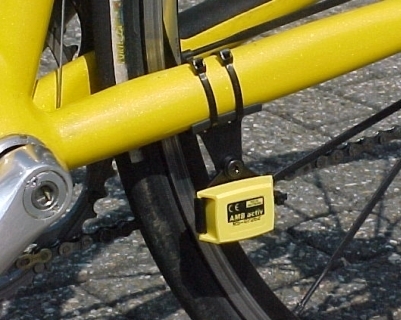 1996 - Present day: Timing devices linked with transponders affixed to bicycles. Computer and GPS technology integrated with the timing systems. In 1903 the magnificent time pieces that were then available had little practical use at the Tour. The six stages of that first pioneering race covered unbelievable distances with three of the stages each covered well over 400kms each and another stage covered 374 kms. The shortest stage at 268 kms, was almost a rest day. In essence those early Tours were a collection of marathon one day classics with distance and human endurance as the principal ingredients. On roads that were still intended for horse traffic, the riders of those early races were truly giants of the road. During that era cars were of course still a rarity and it was a rare car that could survive the journey that the racers were being asked to cover. Consequently a major challenge to Tour founder Henri Desgrange and his organisation was that of having timing at the beginning of a stage co-ordinated with time keepers at the finish (remember that telephones were also rare and in their infancy at that time). Basically, with the roads, vehicles and rudimentary communication systems available in those early years, long distance timing was simply an impossible concept. As the Tour waited for the new fangled forms of transportation and communication to evolve it worked with what was available. So from 1903 until 1912 a points system was created to record race progress and today we can see fabulous old photographs from those far off times showing the riders checking in at check points along the race route. With nothing but ‘whole points’ to separate them, it is not surprising to find ‘dead heats’ for GC leadership a common phenomenon at some time during most early Tours. However neither then, nor in fact up to the modern day, has there ever been a dead heat for final overall victory. Since 1913 time pieces (mechanical and electronic) have measured the results of the Tour (and most cycle races). During the 1920’s chronographs (time pieces with both time keeping and stopwatch functions) were introduced to many sports. These improved devices created the ability to measure time differences down to 100th of a second. Unfortunately this accuracy was still dependent on the human factor. Starting and stopping the device depends on the hand/eye co-ordination of the time keeper as they observed the athlete start or finish an event. Naturally this introduces a great variability in accuracy that can make separating very close races all but impossible to judge with any degree of certainty. In 1948 in Saint Moritz, Switzerland, the cellular photoelectric eye was first used and a ‘slit camera’ was introduced for photo finishes. By 1952 cameras had been added to slit cameras for automatic time-stamping, accurate to the 100th of a second. By the 1972 Olympic Games ‘reaction times’ were factored in to the timing process. Around the mid-1970’s computers also started to be incorporated into timing systems and fledgling GPS technology was being tested at many sporting events. At the 1992 Olympics in Albertville, France electronic photo-finish technology was finally fully integrated with timing systems. The final link in closing the loop to timing systems appeared at the 1996 Olympic games when the first radio transponders were fitted at the cycling and marathon events. Today it is this technology together with computers, GPS systems and photo-finish techniques that have made the timing accuracy that we saw at the end of Stage 4 in the 2009 Tour de France a reality. Due to the nature of the Tour it has always been seen as a great test bed for new technology. The car was perhaps the first innovation to cut its teeth across the roads and mountains of France. In recent years global positioning technology and advanced timing techniques have advanced through ‘field testing’ at the Tour. Delicate electronics dragged across wide open roads, up and over mountains, through every conceivable weather condition and asked to function in sometimes fairly remote locations, is a true test for such equipment. Naturally the Tour has always been very quick to adopt each new timing technology as its efficacy was proven. Interestingly the official Tour de France records rarely show the ‘dead heats’ in GC that some other respectable sources reflect. Our research indicates that after Stage 7 in the 1929 Tour Nicolas Frantz, Charles Leduq and Victor Fontan all claimed the Yellow Jersey. Three days later Belgian rider Maurice De Waele assumed race leadership and then held it all the way to Paris. Between 1905 and 1931 ten Tours saw ‘dead heats’ on GC time at some time during the race. In most cases the deadlock was broken a day later. With chronographs, cellular photoelectric eyes, slit cameras and other innovations appearing the incident of dead heats diminished during the 1930’s. In fact after 1931 it was not until the 1966 Tour when Lebaube and Kunde were both awarded the Yellow Jersey after Stage 11 (final GC victory went to Lucien Aimar that year). Twenty years later Marie and Vanderarden tied for best time (and consequently the Yellow Jersey) in the opening 4.6km Prologue ITT. In 1996 bike mounted transponders had not made it to the Tour (they first appeared later that year at the Olympics). After stage 7 Berzin and Olano both claimed exactly the same time on GC. This tie lasted one stage and it was Bjarne Riis who went on to win in Paris. 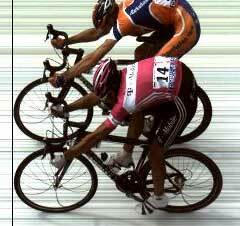 Considering the advances in technology since 1996 that years Tour probably saw it’s last ever GC dead heat. Over the last decade or so computer technology has driven advancements in timing, global positioning, measurement of human vital signs and many other monitoring capabilities. Today through miniaturisation, bike mounted devices can display basics such as time, speed, cadence and power output along with mapping data (global positioning) and human vital signs such as heart rate. This convergence of different technologies has been linked with wireless capabilities so that now team managers back in the following team car can observe their riders condition in great detail. This wealth of data is invaluable in assessing moments for tactical moves as well as preparing riders during pre-race training periods. Naturally much of this information (especially real-time data) is jealously guarded during races. The recent controversy over the use of race radios actually centers on team managers being able to advise their riders based on how the various riders in their team are feeling. For example if riders are at or near maximum heart rate or power output expecting them to attack is not a realistic proposition. Perhaps the most vivid example of how technology impacts races is on those days when breaks are let lose and then ‘controlled’ by the bunch. GPS technology provides team managers with time, distance and speed data. That is why so often breaks are reeled in within sight of the finish line. 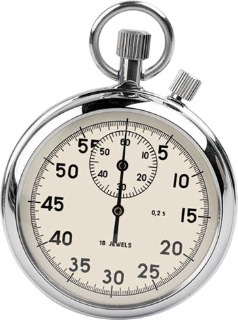 Quite simply the managers can calculate the speed required for the chase and thus instruct their riders to push the race to that level and no more. In this way riders conserve energy for the following days. The days of the dead heat have been consigned to history. No matter how small the gap, modern timing technology will now always be capable of measuring the difference of even the smallest hairs breadth.